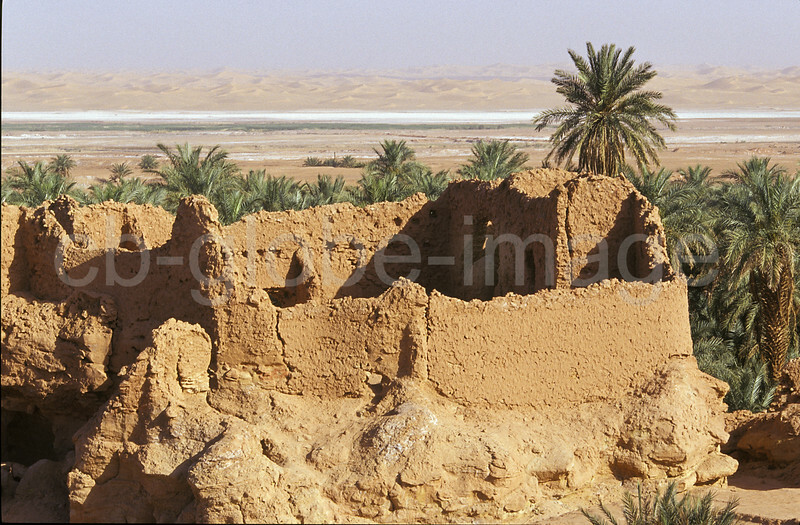 Oasis town of Timimoun, Adrar province (Wilaya), Great Western Erg, is also called the 'Red oasis'. This is because the houses are built from red clay. Timimoun is located on the salt lake Sebkha. Green gardens and the ruins of Ksar can be found in the vast palm grove on the outskirts of the settlement.